Why do bullies bully others? According to the hundred-year-old legend, children disappeared in Seven Pines every year to never be found again. People suspected that the old bakery in the woods was under the spell of evil forces and warned their children not to go near the old building. Best friends Albert and Timmy were mean bullies and nobody liked them. One day a group of children that were fed up with the daily torture of name calling and pushing and shoving, dared them to go into the old building at night to see if it's really haunted. Albert accepted the dare and although Timmy had his doubts, he went along with his best friend. What will they find in the old bakery? Is the legend true and they will disappear forever as many children did who had entered the building? The Haunted Bakery is a part of Becky's childhood, she lived in the small town of Seven Pines Virginia where The Battle of Seven Pines was fought. Deep in the woods stood an old building built of stone and brick and in the basement, there were old brick ovens. People assumed it was an old bakery during the Civil War. Children dared each other to go into the building at night and scared each other with the legend that was told in every generation. Becky had the rough outline of a story of two boys who went into the bakery at night, on a dare. When Becky showed me the rough manuscript, I accepted the challenge of making the sketchy ideas into a great story together with Becky. When I was a young child, probably in 2nd or 3rd grade, there was a boy in my class who relentlessly bullied smaller kids. He called them nasty names, punched and tripped them, and he always found something to tease them about. He tried to bully me once by shouting in front of everyone in the class, "She has freckles because the cat pooped into the fan and sprayed poop spots all over her face." I got so angry that without thinking, I punched him in the face. He cried like a baby holding his bloody nose, and of course, I was punished. That was the only time when I used violence. My dad taught me to fight my battles with my words and not with my fist. Shortly after this incident, the bully's father went to jail for beating his wife and two children close to death. Did this boy become a brutal bully because he was bullied and beaten at home? Why do bullies bully others? The print is available for schools, libraries, and bookstores with returnability option from Ingram. This is an important book. The fact that it's a fun story with lovely illustrations is just a bonus. It's obvious that the central theme of this story is bullying but there's more to it than that. 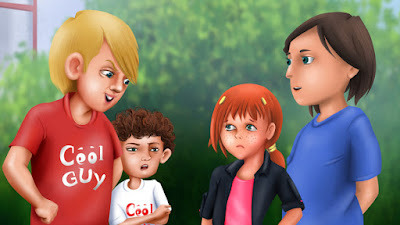 While the main characters of the story are, Albert and Timmy, two school bullies, there are other characters in the story who could also be considered bullies as well. Plus, there's also a witch worth mentioning. At the beginning of the story, we see Albert and Timmy bullying the other kids, but it's pretty clear that this isn't a behavior that they do simply out of spite. Both boys have experienced some form of bullying themselves in the past and therefore they’re simply ‘beating the other kids at their own game.’ I think this is a wonderful dynamic to explore in children's fiction. I think it's a good idea to explore in any type of fiction. I think too often people feel that a bully is just a bully, but often there's more to the story. And then there's the evil witch. Perhaps there's more to her story as well. While the action of the story begins with a dare that sends Albert and Timmy on their adventure into the haunted bakery, there are underlying tones to the story that you might miss if you don't pay really close attention. To young readers, the fun, mystery, and adventure of the story will pull them in, along with the colorful images, but adults will appreciate the other significances of the story, hopefully prompting them to discuss them with the young readers. Aside from the central theme of bullying, the story also touches on aspects of: asking and seeking help from others, accepting help from others, accepting others as they are and for their differences, and even acknowledging the changes in times. Considering the social climate of modern times, being able to look back at the past and see how things have changed and or improved is important. I feel more people should take time to look at the past for improvements while continuing to strive for even better in the future. As a Children's Reading Specialist I endorse this book and highly recommend it be added to primary classrooms in schools for personal libraries. This book will come with a comprehension enrichment packet! A great boon for educators! The Haunted Bakery of Seven Pines is a wonderful book with a heartfelt ending. I would like to thank Erika Szabo , Lorraine Carey and Steve Dasgupta for bringing my childhood memory to life. Sounds like so much fun. I'll have to get my copy for the girls to try. 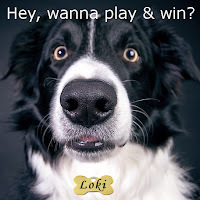 Do you need a new story for bedtime tonight? 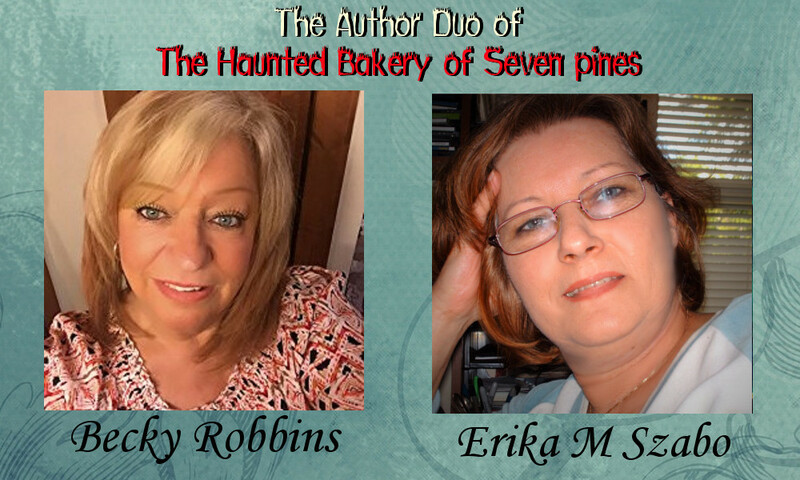 Try a great book with a message with The Haunted Bakery by Becky Robbins and Erika Szabo. What an interesting basis for this story. It sounds like a great read. 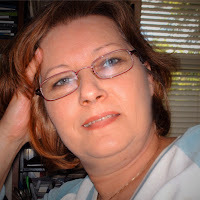 Today on #OurAuthorGang, Erika M. Szabo talks about the bullying, the legend of Seven Pines, and the writing of her and Becky Robbins ' children's book, "The Haunted Bakery." This is an important subject, Erika, and I'm glad you and Becky tackled it and put it in the context of the legend of Seven Pines. Well done! Sounds like an interesting way to incorporate bullying into a story. Today, Erika M. Szabo, shares the new childresn's story she and Becky Robbins just released and asks the question. "Why do bullies bully?" Check it out at #OurAuthorGang. There are so many factors to consider, but the biggest mistake most people make is to assume that bullying is just something that happens because kids are mean. +Toi Thomas Exactly! Some kids are born with mental illness and don't feel compassion or remorse, but they don't born to be just plain mean. It is learned behavior as a way of developing their own way of defense mechanism. Congratulations to Erika M Szabo & Becky Robbins on the release of their children's adventure story for ages 5-12. Great lessons about bullies and the underlying causes. Don't miss it! Thank you so much Ruth for you kind words. It was a great project to work on and we made a fantastic team! I want to thank Erika Szabo , Lorraine Carey and Steve Dasgupta for bringing my childhood memory back to life. The Haunted Bakery is a wonderful book with a Heartfelt ending. Today, Author Erica M. Szabo shares with us her newly released children's book THE HAUNTED BAKERY AT SEVEN PINES. It would be a wonderful addition to any home library for children and grandchildren. Thank you so much Grace for your support, and for your wonderful review. It's so much appreciated. Erika talks bullies and their motivation. Wonderful message for children. They need to learn to look beyond a child's actions to discover the roots of the behavior. Chris ,I also want to thank you so much for your support and for your great review. Much appreciated. Thank you for everything you have done Lorraine to help make this book a success. +Becky Robbins You are most welcome. As a children's reading specialist I endorse this book and will do whatever I can to promote good literature. As a children's reading specialist I can tell you this book is a power pack for the primary classroom teacher. So many valuable teaching points here. This book needs to be part of literacy adoption for schools.Congratulations to both of you. Thank you Lorraine! Your amazing Literacy Kit will provide great help to teachers with story comprehension, vocabulary study, letter writing, art project, and active participation. Thank you for creating this valuable Literacy Kit for our book! +Erika M Szabo My pleasure! That literacy enrichment kit will be ready very soon. This book is a real treasure trove for educators. Congratulations on the new release, it sounds brilliant!